Zoetis’ Vanguard CIV H3N2/H3N8 new bivalent vaccine helps protect dogs against CIV H3N2 and CIV H3N8. 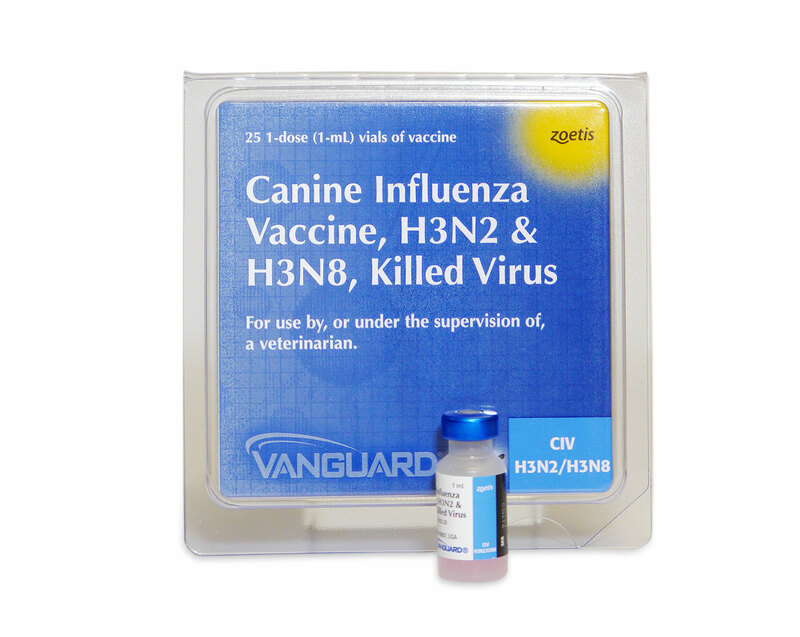 In an efficacy study, dogs that received the Vanguard CIV H3N2/H3N8 vaccine were protected from disease after CIV H3N2 challenge, according to Zoetis. Vaccination also appeared to help decrease the number of days after challenge that dogs shed CIV H3N2 virus—from an average of 4.9 days in the placebo-vaccinated controls to an average of 1.3 days in Vanguard CIV H3N2/H3N8 vaccinates, the company reported. During a safety study that involved 364 dogs, including 164 client-owned dogs and 200 dogs from commercial breeding facilities, 725 doses of vaccine were administered, and no significant adverse events were observed, according to the manufacturer.